I finally started some socks for Chris. The yarn is turning out to be really beautiful. I love the combo of gold, dark teal and gray. I would never have put those colors together, but they are pleasing to work with. That’s what I love so much about knitting really, it’s the yarn colors and the surprising way they blend together to bring the fabric to life. I can’t wait to make a hat out of it! The socks are coming together quick, so a hat is not far off. I still have to make the flowers for the baby ruffle hat 😦 I tried once, half distracted, and didn’t quite get it. Plus I don’t have the yarn that I really want yet… so I’m not sure what to do about that. I may see if anyone on Ravelry has any scraps they want to donate. Oh! 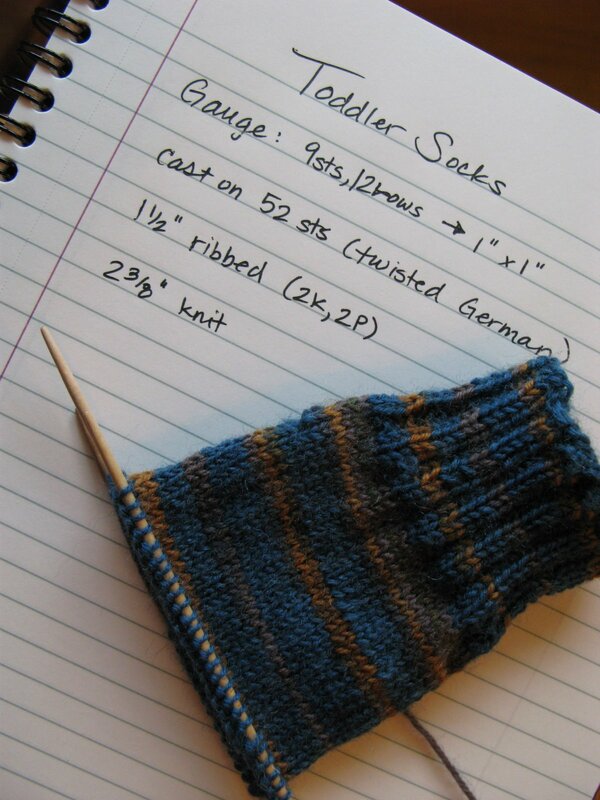 And I found the cutest little mary janes that I want to try to knit with the left over cashmere. i like these a lot. they are really coming together neato. keep going!